Have you ever clicked on a YouTube video only to find that you've been "Rick-rolled". Yeah, well that was this movie. WTF??? It like changes story plot 3 times then just ends with no resolution to the hot mess they called a movie. And what really sucked is that the trailer was very interesting. I totally got Rick-rolled. 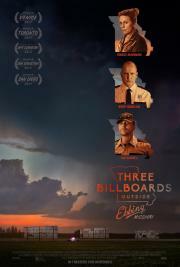 Three Billboards is one of my favourite films of 2017 and it is such a seamlessly well constructed piece of filmmaking from Martin McDonagh. His overall direction impresses but his script is where this film truly excels. I was either laughing or in shock for the duration. Both the tone and the pace play out like a Coen Brothers film and the cinematography and score are worthy of praise too. The stellar cast features outstanding performances throughout and it’s impossible to pick a standout. Great, from acting, directing to story. Leaves one both depressed and smiling at the same time.